Meaco DD8L Review - It's Small, But Does It Work? 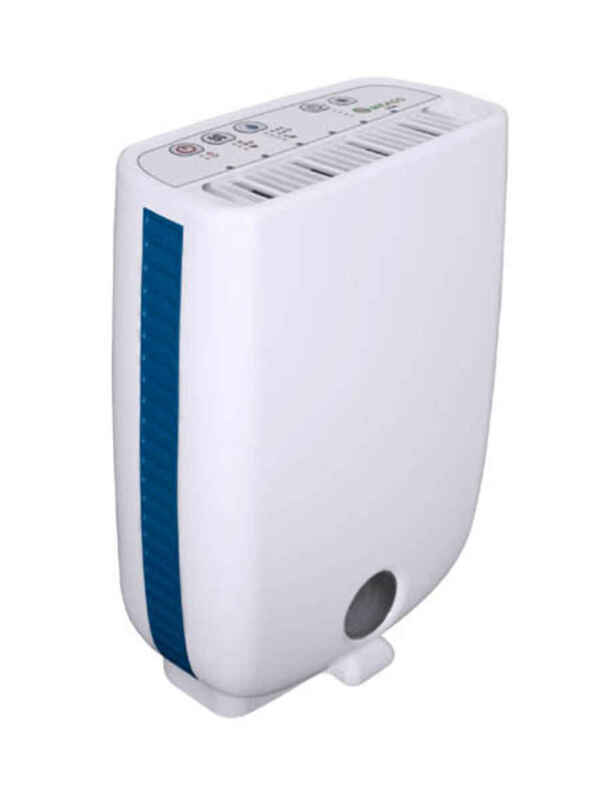 Sporting a rather sleekly designed case, weighing just 7Kg and measuring only 500mm high by 351mm wide the ‘Meaco DD8L Portable Compact Dehumidifier’ really is portable and compact – just like its names sake. It also features a rather impressive water extraction rate of up to 8 litres per day. This compares very well to the larger dehumidifiers available and means this unit certainly isn’t lacking on power for its size. The DD8L’s compact case features all of the basics you’d come to expect from any dehumidifier and even has an eye-catching patterned, blue stripe running up the sides of the unit to break up the otherwise plain white case. The top of the unit is home to both the control panel and air outlet vent. The back of the DD8L houses the inlet filter and grill, carry handle and water tank. The front of the device features a handy water level window at its base. The handle itself is very sturdy, being part of the device itself, however it would have been nice to have seen a top mounted handle that can be retracted. Whilst these are not almost always the sturdiest they do make carrying a dehumidifier easier, but given the DD8L’s small size this really isn’t too big an issue. The filter features an antibacterial layer which is always a very nice touch as it means the dehumidifier will also clean the air as runs. The water tank at the bottom can hold up to 2 litres before it needs to be emptied, which is a tad on the small size, but this meant to be a compact unit after all! If this is a problem for you Meaco have positioned a continuous drainage point at the back allowing you to bypass the tank all together – they have even included the drainage hose. The top mounted control panel features a button pad, with a total of four buttons. Each button provides a different setting allowing you to configure how the dehumidifier operates. A single or multiple press of each is all that is needed to get going. But don’t worry! If you just want something simple the DD8L can also be switched onto its default settings with a single button press. Moving from left to right across the panel (as shown in the picture above) the first button you’ll come to is obvious – the power button. A single press will bring the machine to life and greet you with a series of 3 bleeps – just to let you know it is working. Beneath the power button are the first two indication lights we’ll come across on our journey. The top ‘red triangle’ is a general fault light that will illuminate if the machine is having trouble. Not very helpful by itself, however Meaco have provided a description of what this is most likely to be. The most common culprit for this is a blocked air inlet which causes the machine to overheat. A quick clean and you should be good to go again. The next light is more obvious and is a simple tank ‘full’ indication light. It will also illuminate when the tank is fitted incorrectly. The speed of the fan has a huge impact on the noise any dehumidifier throws out. So it is very good that Meaco have provided you with an easy to way to adjust the fan speed. There are three settings that range from the low speed (most quiet) through medium and high speed (most noisy!). Each speed is represented by the corresponding indication light directly beneath the button. It is also worth noting that the highest speed setting causes the dehumidifier to run continuously – regardless of humidity level. 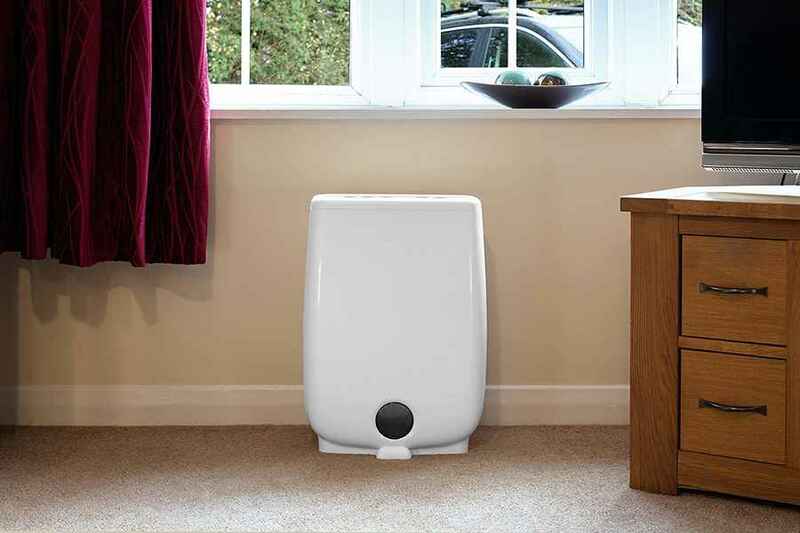 This setting is designed to dry washing or even dry a heavily damp room. 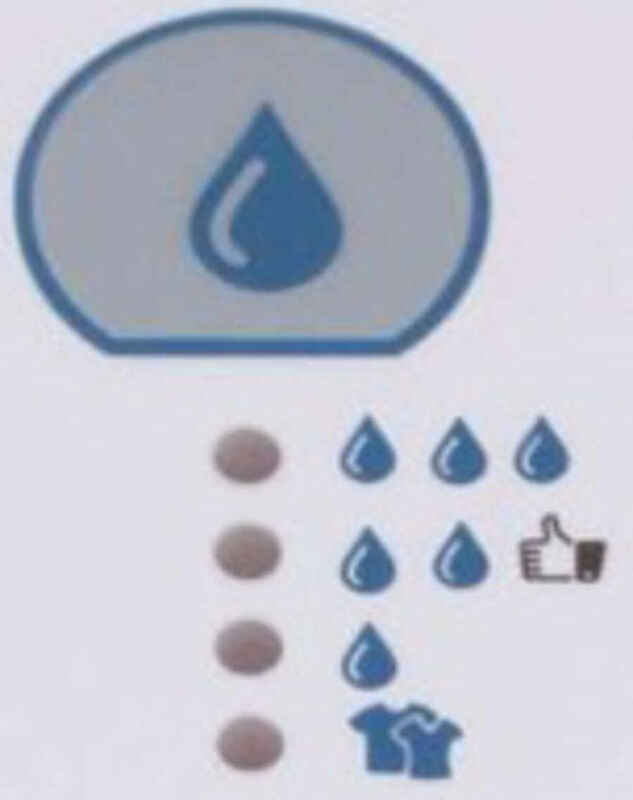 Signified by a water drop this button gives your control over the relative humidity of your home/room in your home. It has four settings, and just like the Fan speed button, each setting is represented by an indication light beneath the button itself. All that is required to select a particular setting are a few presses of the button until the setting you want is illuminated – easy! The DD8L can really extract some water! It is possible to bring the relative humidity down to 40% (bearing in mind that around 30-35% things start to get uncomfortable and for the average UK home the ideal humidity level is around 50-55%). This is the most powerful of the settings. Next is the ‘normal’ mode setting. This aims to reduce the relative humidity to around 50% (the most ideal level) and is probably the setting most people will use for day to day use. It is enough to stop mold growth and condensation on windows and will operate effectively down to around 5 degrees Celsius (after this point the maximum setting is recommended to keep the efficiency up). Next is the ‘minimum’ setting and will aim to keep the relative humidity at 60%. This is ideal if you just need to keep a room dry (opposed to your whole home) and will keep mold at bay within the room it is placed. Finally we reach the laundry mode, this powerful setting will run continuously aiming to bring the relative humidity down to a very dry 35% to really help speed up the drying of washing. 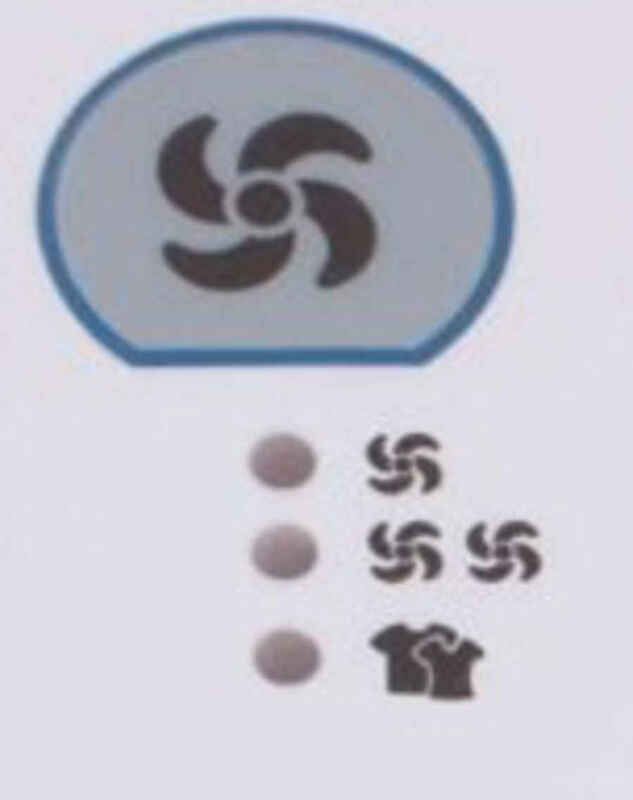 One of the things we haven’t mentioned, to avoid being repetitive, is that after the relative humidity has been reached (for all but the ‘laundry’ setting) the machine will automatically switch itself off but keep the fan gently circulating for about 5 minutes before going to sleep for 30 minutes. After 30 minutes have elapsed the fan will start up again for 5 minutes to check the humidity levels. If the relative humidity has risen above the selected threshold in this time the dehumidifier will spring back into action. This is a great setting for two main reasons: the first is that it can be left to work relatively unattended, the second is that it will help reduce the operating costs of the device -which is always a huge plus. 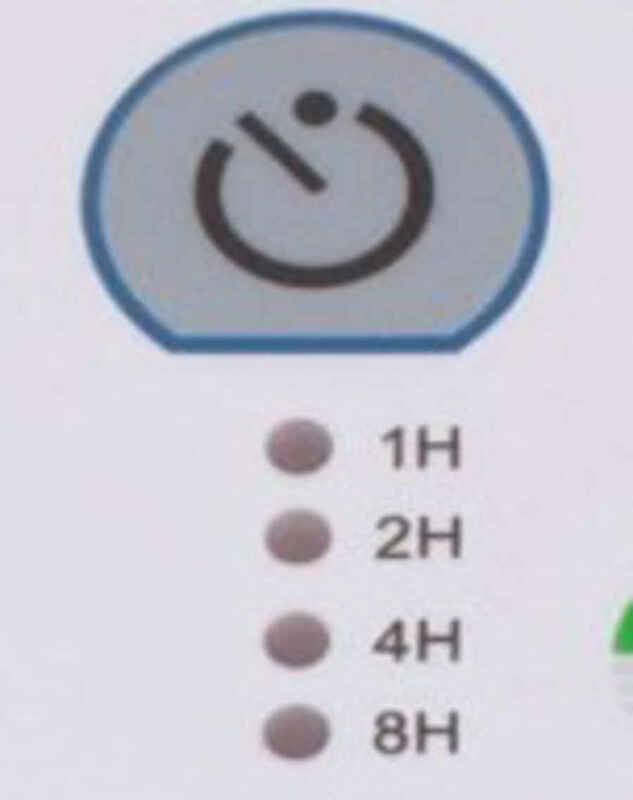 The final button on the control panel is the timer. This button overrides the other settings and will completely shut off the dehumidifier after a set time – giving you that extra bit control over how long it runs and ultimately how much it costs to run. The four settings run a binary sequence doubling each time, meaning this device can be set to run for 1, 2, 4 or 8 hours before shutting itself off. Let’s begin this section by looking at the operating range of this dehumidifier. Because the DD8L is a desiccant dehumidifier it can be used in conditions where compressor dehumidifiers loose performance or stop working entirely. In fact, it can operate in temperatures of between 1 – 37 degrees Celsius. This huge range makes it very ideal for UK temperatures, allowing it to deal with the (occasionally!) very hot summers and cold winters we have. The low 1 degree performance will even allow it to be used in out buildings or garages in all but the very coldest of winter nights. Meaco specifies that this dehumidifier can operate quite effectively in up to a small 5 bedroom house. Though we would probably recommend it up to a 4 bed house. This makes it ideal for small homes, flats or apartments where this is a damp problem. This is particularly useful if you’re renting and your landlord is too tight to fix the damp problems! We mentioned above that this desiccant dehumidifier – this means it uses a filter containing a hygroscopic material to absorb excess moisture from the air. This process of water absorption makes models like the DD8L much quieter when compared to their refrigerant counter parts – which often use a much noisier compressor pump to remove water from the air. Inside the machine a wheel full of a material called Zeolite which absorbs the excess moisture from the air. Once this wheel is saturated with water it passes through a a stream of warm air which forces out the moisture making it ready to be used again. The warm moist air hits a metal plate causing the moisture to condense and therefore be removed; and the heat used during this process is mixed with the dry air before exiting the machine. This generally blows out 10-12 degrees warmer then when it went in and is why dehumidifiers can warm as well as dry rooms! One interesting point that some people have noted (and even Meaco themselves) is that sometimes this dehumidifier can produce a burning or slightly sour smell. Rest assured though your unit is not about to burst into flames. It is in fact a natural by-product of the Zeolite used to absorb the excess moisture. In addition to water it can also absorb smells from the air too, these then can be released back into the room whilst the unit is operating. This is normal and should subside pretty quickly. Making sure your unit does not destroy itself whilst it is working is also pretty good idea. To meet this end Meaco have introduced a number of really quite clever safety guards that turn off the machine in the event of a problem. When a problem is detected the control panel will lock-up and the fan light will flash. The machine will then only operate normally when the correct operating conditions are met – preventing self damage and extending the life of the device. Typically if the machine gets too hot or if the external temperature is too cold are situations where the machine will stop operating. Despite its compact size this dehumidifier is certainly not lacking on power, features or options. From its ability to save you money whilst it is operating through an array of easy to use controls, to it’s safe guards to prevent damage – this device packs a lot in. Meaco have really made a solid entry here that certainly stands well when compared to many of the other models offered by its competitors; and should fit most peoples needs.